Merry Christmas! Isaiah 9:6 is one of my favorite verses from the Bible. It is especially lovely to hear during the Christmas season. Best wishes to you for a wonderful Christmas Day. The girls are going to be so surprised. I'll be sure to update you on their reaction when they find out about their Christmas present. 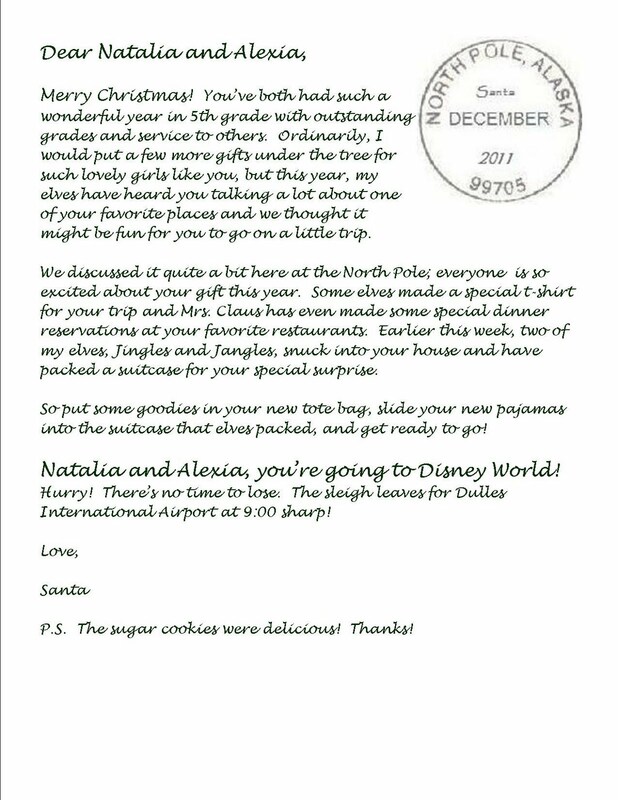 They're going to get this letter in a package and will have just enough time to get dressed before we go to the airport! As you enjoy the festivities of the day, here's a fun video that is a great topic of conversation. How would people celebrate Jesus' birth if Facebook had existed many, many years ago? I love this video! 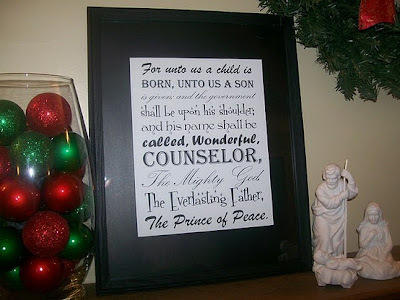 Hope you have a blessed Christmas! I'm sure the girls will be delighted! Feliz Navidad!!! 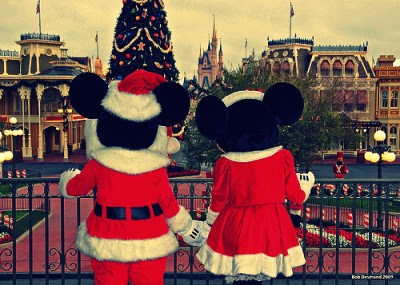 Have a Magical time at Disney. Merry Christmas and safe travels! Merry Christmas to you and yours! Enjoy Disney! What a fun present! Merry Christmas! hope you had a very merry Christmas! 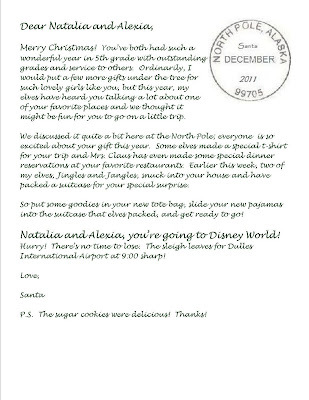 I can't wait to hear how your daughters opened their Disney trip gift! How wonderful for your girls! That FB video is fabulous. Hope you are having a great time!